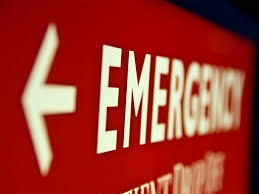 The American College of Emergency Physicians Resources provides information on many topics related to emergency care. Canadian Medical Association Clinical Practice Guidelines in Emergency Medicine. Topic reviews on evidence-based emergency medicine. Collection of images in emergency medicine. These articles have been designated as Annals' Editors' Top Selections, considered of particular interest to the profession. Best Evidence Topics (BETs) were developed in the Emergency Department of Manchester Royal Infirmary, UK, to provide rapid evidence-based answers to real-life clinical questions. The Geneva Foundation is an amazingly well organized directory of links organized by diseases and conditions mostly on gynecology and obstetrics. It also has an excellent link directory on free medical journals in all specialties, including Emergency Medicine journals. BioMed Central is an STM (Science, Technology and Medicine) publisher of 251 open access, online, peer-reviewed journals, including journals in Emergency Medicine. Medscape Reference is an outstanding free medical resource with vast content in Emergency Medicine. Medscape News is an outstanding free medical resource and includes articles reviews from the medical literature in Emergency Medicine. Medscape Education is an outstanding free medical resource and includes continuing medical education content in Emergency Medicine. Ultrasound tutorial for emergency physicians. Easy to use medical calculator with formulas in most medical specialties including every day use formulas in emergency and critical care. Easy to use medical calculator with formulas in most medical specialties including every day use formulas in emergency medicine. Besides its world famous free drug database, epocrates online offers access to a medical calculator with a vast range of medical formulas in all specialties. Free registration is required to access the database.